Commander Anna! 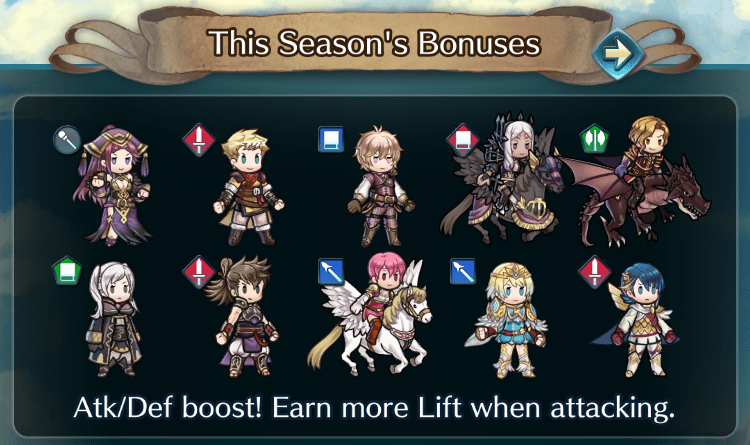 Just checking, but in Aether Raids, you can form up to five raiding parties and send one out on a raid at a time, right? I guess that means I should reform my armored team that worked so well in the arena and send it on a raid! Not so fast, Sharena! A friendly word of warning: making a raiding party with only one unit type is a veeery risky move. You see, your foes’ defensive map could contain structures that debuff allies with certain weapons or movement types! …So depending on who I field, I could be in for a real struggle? Oof, that was a close one. That’s right. You’ll need to learn the Aether Raids way of doing battle and create a well-balanced raiding party! Create a Full Set of Raiding Parties! You can form up to five raiding parties. You’ll choose one of these five parties when you start a raid, so try making a few different compositions that could potentially be advantageous against your opponents’ teams or structures. 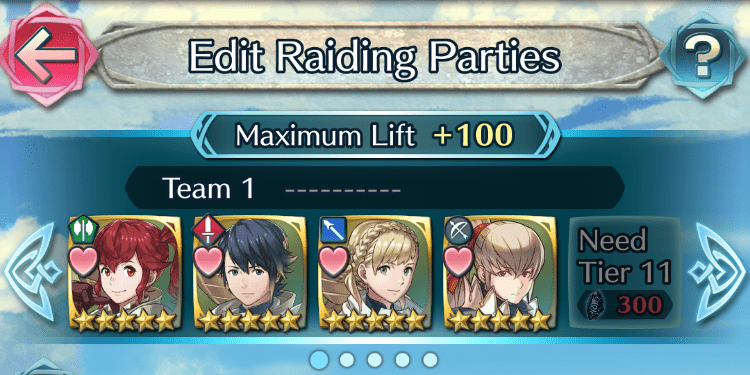 At AR Tier 10 or below, you can have up to four allies in a raiding party, but once you reach AR Tier 11, you can use 300 Aether Stones to increase the maximum to five allies. Spread Out Your Teams’ Characteristics! The defensive structures placed on your opponents’ defensive maps could include structures that debuff allies with certain movement types or weapons. As a result, using allies who all have the same movement type or weapon could result in your raid going south very quickly. You should look to include a selection of different movement/weapon types in some of your raiding parties. Include Bonus Characters in Your Raiding Parties! If you put a bonus character in your raiding party, they’ll get a stat boost and will receive double the EXP and SP. If you win the battle, you’ll also gain extra Lift. 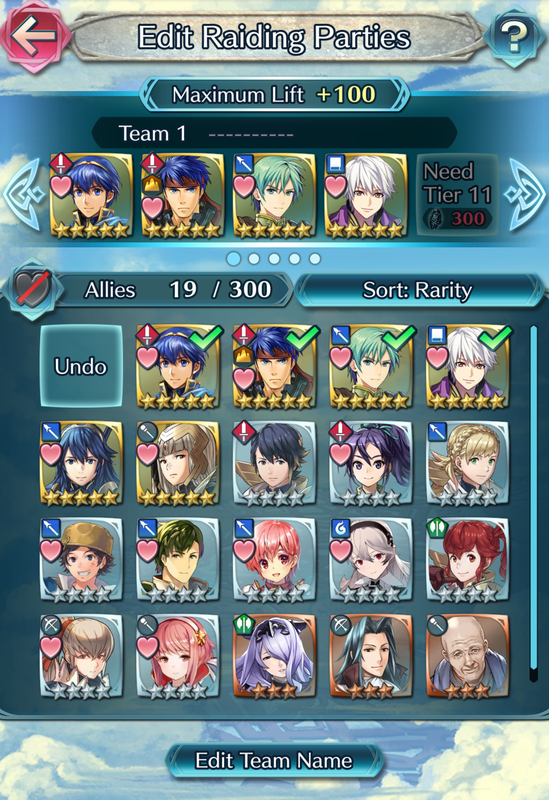 If you have a bonus character in your barracks, make sure you prioritize putting them in your raiding parties!